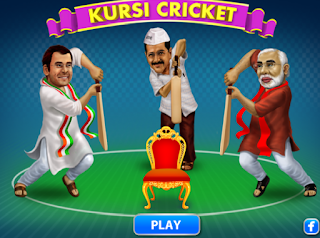 Elections in India are quite like playing cricket, and quite as unpredictable. Winning a state requires a distinct strategy that is not facsimile of another when it comes to reading the pitch, planning a strategy, fielding the players and selecting a captain. It’s a team effort. With four wins in five state electoral matches, Captain Modi established his pole position in Uttar Pradesh and neighbouring Uttarakhand. His triple century against main rivals, Samajwadi Party, Congress and Bahujan Samaj Party was seen as a resounding ‘Modi wave’ that swept the Hindi heartland. Barring one loss in Punjab to the Congress led Captain Amrinder Singh, the BJP also managed to steal a last over victory by outmaneuvering rivals in Goa and Manipur. With an incredible win of over 406 of the 690 seats on offer, they can now hope to win 2019 National Cup under the hawk eyed guidance of coach Amit Shah. In UP, they say, people don’t cast their votes, they vote their caste. But if this was entirely true, Dalit centric Bahujan Samaj Party and Jat centric Rashtriya Lok Dal would not stare at political obsolescence. 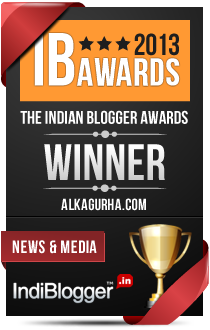 Which brings us to the moot question: emerging from a defeat in Bihar and Delhi and the aftermath of demonetization googly, how did Narendra Modi register such a spectacular sweep? What the media did not tell us was being planned for over more than a year by the coach, Amit Shah. There was organisational restructuring, an offer of primary BJP membership to potential workers, youth mobilisation, canny ticket distribution and effective use of social media including more than ten thousand WhatsApp groups. The net practice under the Hindutva umbrella included hundreds of nukkad meetings (street plays), parivartan yatras, youth conferences, Swabhiman conferences (for SC/ST), traders meetings, motorcycle rallies and Kamal Melas. The speedy implementation of welfare schemes like Ujjawala which aimed at providing free LPG connection to 5 crore BPL households, Jan Dhan accounts, insurance at a premium as low as Rs 12, promises of farm loan waiver and interest free loans struck a chord with rural voters. The overall strategy was to woo the middle class by development and the poor by financial inclusion. Poverty, after all, has no caste or religion. Finally, demonetisation and surgical strikes portrayed PM Modi as a decisive captain who was playing aggressively against corruption. The jury is out on the merits of demonetization, but politics is all about perception. When people feel that their leader is fighting for them, data and numbers are rendered useless. While PM Modi was seen as a visionary who played risky shots, the fragmented opposition came across as defensive team of opportunistic players. In all fairness, it is easy to be wise after an event, or a match. Truth is, no political observer could envisage this TsuNaMo in the absence of a Chief Minister’s face. As for Akhilesh Yadav, anti-incumbency, deteriorating law and order, fast turning UP wicket, in-fighting between his team players and running between the wickets with a tentative Rahul Gandhi ensured that SP was on the back foot. You can not sing '27 Saal UP Behaal' one day and 'UP Ko Ye Saath Pasand Hai,' the following day. People are not idiots. As for Behenji, with her traditional Dalit vote bank deserting her, Mayawati was stumped by the EVMs – the educated voting middle class. As for AAP, a much hyped team in this series turned out to be a damp squib. In their hurry to go pan-India, AAPs attempts to win Punjab fizzled out with Bhagwant Mann out on a duck and a team collapse in Goa. The silver lining for a relatively young AAP is that they managed enough seats to sit as the main opposition in the Punjab state assembly. Despite all the euphoria over the Captain Modi’s knock, it cannot be denied that anti-incumbency provided a tail wind to the UPswing. The truth is that anti-incumbency cuts both ways. If SP was at the receiving end in UP, it was Akali Dal-BJP in Punjab and in Goa. After his 4-5 sweep, striking a note of inclusiveness, Captain Modi said that the five states win would lay the foundation of a new India by 2022. But a week later, the appointment of Yogi Adityanath, a hardliner UP CM surprised many who cheered for team Modi’s development agenda. Little surprise that Modi’s message of ‘Sabka saath, Sabka Vikas’ was overshadowed by overt Hindutva push. One hopes that all sections of society will represent team UP and that development, not polarisation shall remain the driving force. On the political pitch, the UPswinger will provide Modi the courage to go for some unpalatable reforms, roll out the GST and perhaps bat for Uniform Civil Code. The increase in Rajya Sabha numbers will brighten their chances of choosing their ICC Chairman, I mean, the President of India. Even though it is likely that the BJP will add more states in its kitty, it would be premature to grant them the 2019 Cup. Jobless growth, education and health in shambles, and a sluggish economy are huge challenges. While inflation and corruption are in control, government policies have failed to provide employment. If villages are facing rural distress, cities are facing large scale lay-offs. The global environment is not helping either. Regardles, the opposition teams might go for all-except-BJP teams pan India. Given that most batsmen from challenging teams are facing serious injuries, Modi is likely to lift the 2019 Cup. Moreover, its not Modi they have to defeat, its the people they have to win. Win people to win elections. But like cricket, the only thing predictable in elections is the unpredictability. The matches are more than hundred weeks away. And a week, they say, is a long time in politics. Nice round-up Alka.It is true that ordinary people are hungry for decisive actions and an end to VIP culture.Yes of course employment too is a genuine demand.Now that the captain can heave a sigh of relief,let us see what he takes up next. Unfortunate part is that there is no opposition to keep the team in check. A very balanced analysis on Modified field for a year. The finale of 2019 is up for BJP to lose with an opposition in shamble and the lack of a Pan India leader to take on the PM. I do not subscribe to the BJP ideology but they planned meticulously. I'd say election 2019 is done and dusted. The lack of any challenging team is unfortunate for good cricket, I mean democracy. Do or die seems to be the mantra. You've accurately captured the pulse of the state elections. The lack of credible opposition has gone completely in favour of Modi. Although Modi has made a lot of unrealistic promises, people are impressed by the PM's courage to push the economy to punch beyond its weight - they are also finally seeing some action (and a lot of publicity thereof) after what seemed like a decade of policy paralysis. But you're right, a week is indeed a long time in politics. If the opposition manages to change its strategy and prop up better (and more intelligent) leadership, they always stand a chance. Thank you CRD, you summarized it so well. Despite the clean sweep and stumping all their rivals, they chose Yogi Adityanath as the CM. Just when people had their hopes high for a new India. True, the elections were fought on the plank of development. Any other agenda is not acceptable. Hoping that the new CM will work for all without any prejudices. Once again my comment got lost. Loved the cricket version of politics that you've used. Only time will tell how things will pan out. One thing is for sure, the people at large want development and jobs. They will punish at the next elections if they don't see performance. You said it. The promise was development and that should remain the agenda. Sabka saath, Sabka vikas. Just when I had lost all faith in the political acumen of my home state, I was pleasantly surprised by the Modi wave. People have reposed a lot of confidence in the man with the chest measuring 56 inches. At the same time, people have spurned the vermin known variously as boys, bastards and bad men of U.P. And the bad woman too. Now watch the magic of the monk. A great political commentary ! Unfortunately there is hardly any opposition at the moment, and that to my mind is a great problem if governance is to work with all its checks and balances.